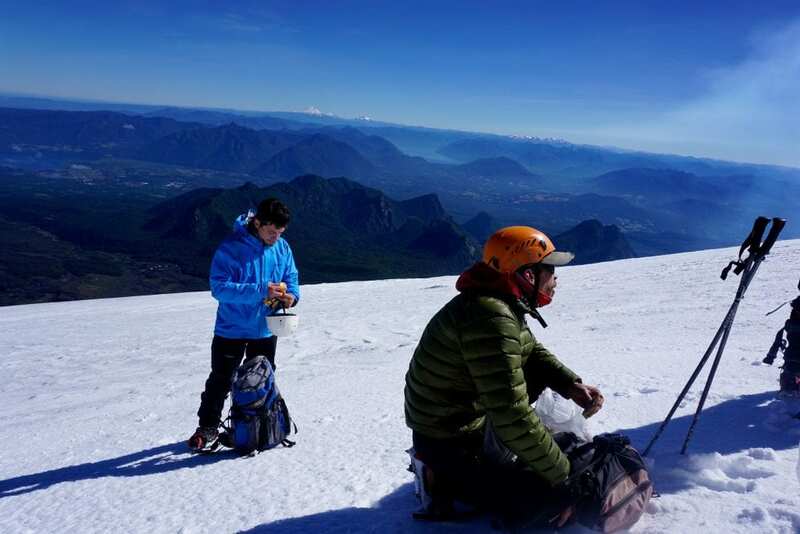 So, you’ve decided to take on Chile’s vicious snowy beast, Villarrica Volcano? Well, good for you! It won’t be easy, but it will be worth it. 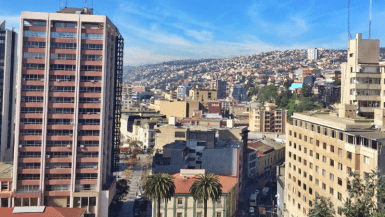 I’m sure you’ve done your research and maybe even already selected a tour agency, but there are a few things you really should know before you go! For starters, if you didn’t know already, “Volcán Villarrica” or Volcano Villarrica is one of Chile’s most active Volcanos. Actually, it erupted not too long ago, in March 0f 2015 and was closed for hikes until November of that same year. At almost 3,000 meters above sea level, you can get a pretty good look at Villarica, on a clear day, right from the little village of Pucón. But if you’re looking to meet her, you’ll have to journey around 45 minutes outside of town first! 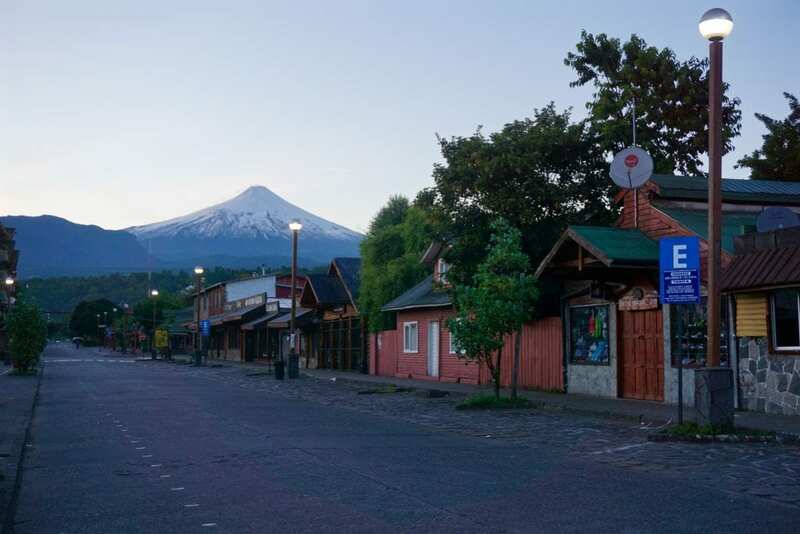 Sleepy Pucón at 6AM with a view of Villarrica! 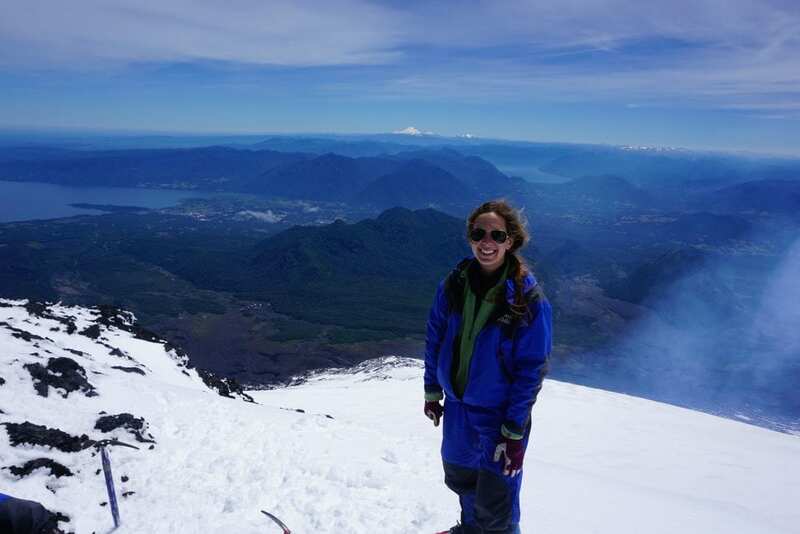 Climbing Volcán Villarrica was one of the most incredible [and terrifying] experiences of my life. I was so back and forth about whether I was going to do it that the decision tortured me for days. Would I be able to complete this hike? Would my fear of heights intervene? Was the trek worth the high price? Finally, on the eve of my last day in Pucón, not knowing when and if I’d have another shot, something in me snapped, and I decided to just go for it. Thankfully the Villarrica weather gods decided to cooperate and our tour was a go! 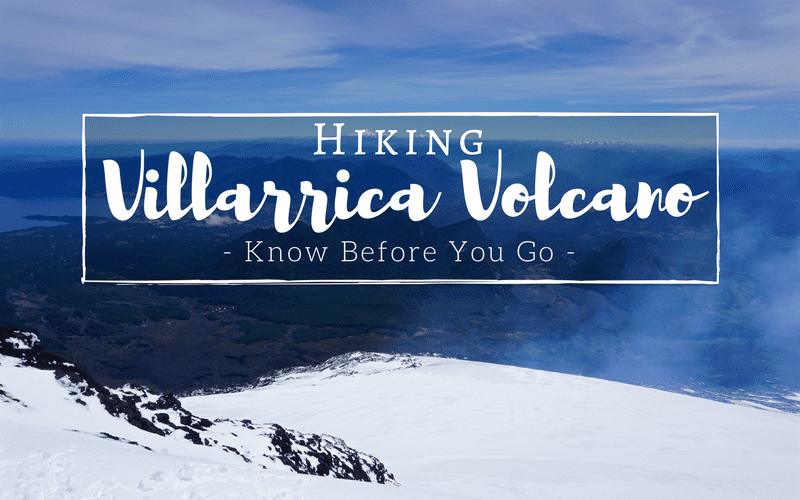 So, before you go, I thought I’d share some of my tips and advice from my own personal experience, so that you’ll also be ready to conquer Villarica. 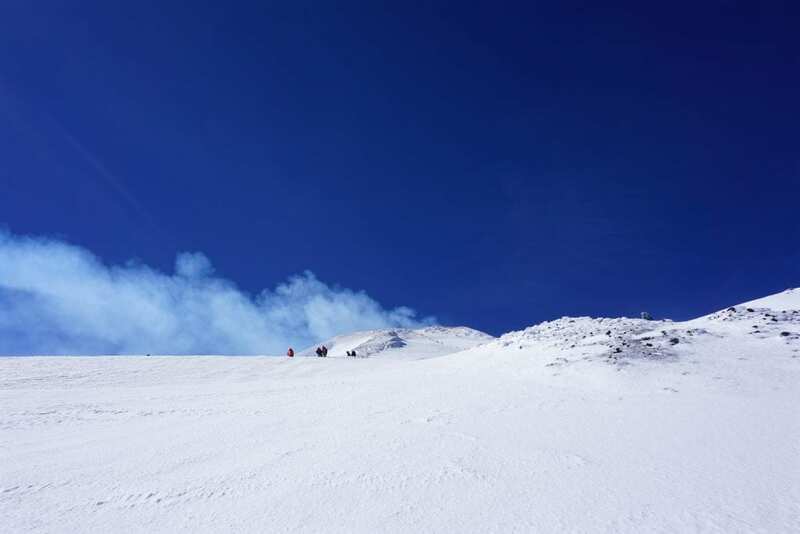 You may have to wait a while to hike the Volcano. 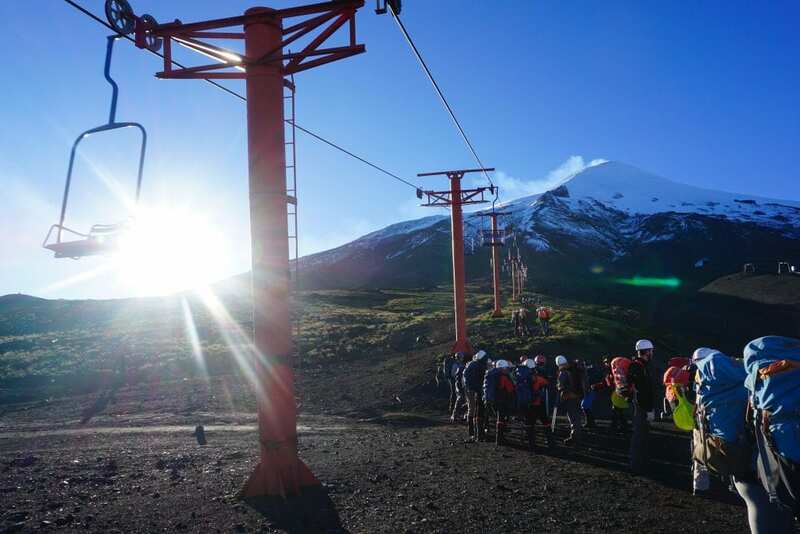 The first thing you should know before heading all the way to Pucón to hike Volcán Villarrica is that you may have to wait a while. The weather conditions have to be pretty exact for tours to embark on this adventure, and the sad truth is, that’s rarely the case. While there are “better” or “worse” times to try, the weather in Pucón is usually a toss up and really unpredictable. Conditions can change in an instant, making it impossible to plan an exact date for this hike. I met a few people in my hostels who had already been waiting 4 or 5 days to get the “ok” to hike the Volcano. I also have friends who started the hike, got half way, and after the weather took a turn for the worse, were urged to turn back. Kind of a bummer, but hey, wouldn’t you rather be safe than sorry? I’d go with Summit Chile. Just as an immediate disclaimer: Summit Chile in no way, shape or form sponsored this post. I paid in full for my tour. I was just incredibly impressed with their company and would highly recommend them to anyone looking to hike this Volcano. 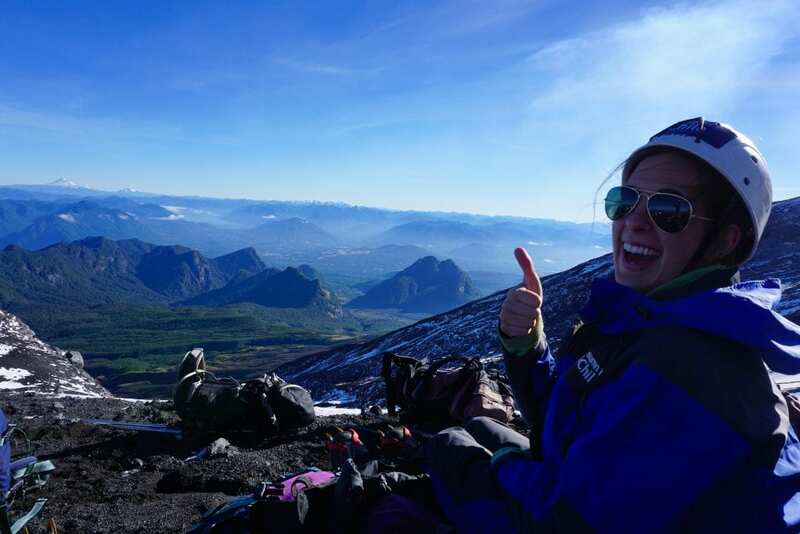 After asking around town [a lot], talking to other travelers and inquiring at both my hostels, I knew if I was going to hike Villarrica Volcano, I’d be going with Summit Chile. I almost decided not to go at all, as the tour was completely booked the first time I called [guess I wasn’t the only one asking around], but luckily they had a last minute cancellation and a spot opened up for me the day before we were supposed to go! The entire tour ran smoothly and was so professionally planned. Even though I was really nervous, owners Claudio and Suzi reassured me that all would be fine and with Claudio by my side, I felt safe the entire climb. Instructions were well explained, the guides always made sure that everyone clearly understood and they watched us carefully throughout the hike. I’d suggest you book ahead! Make sure you’re comfortable with ALL of your equipment. Whatever company you choose to go with, make sure you try on all of your equipment and everything in your bag before leaving the office. You want to make sure everything fits correctly and you’re completely comfortable beforehand, so that you’re able to focus all of your attention on the given instructions and the climb. Trust me, you won’t want anything distracting you while you’re making your way up the slippery snowy slope. Eat a carb heavy dinner the night before your hike. Remember high school football game pasta nights? No? 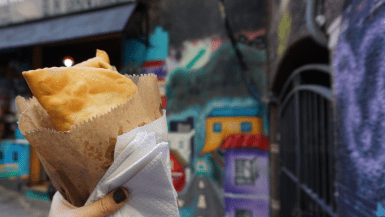 Well, eating foods that are high in carbohydrates the night before a day of intense exercise will give you an extra push and reserve of energy that you’re sure to need when hike this Volcano. Also make sure to go to bed early and get enough sleep! Plan ahead and bring lots of snacks. I would definitely bring more food than you usually eat in a day, as you’re going to be burning a TON of calories on this hike. I brought a big sandwich, 2 protein bars, a chocolate bar, nut mixes, and an apple. 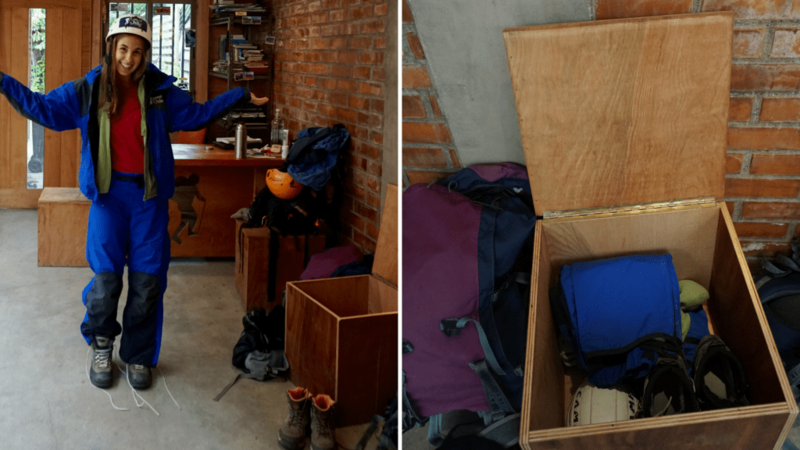 I’d suggest packing things that are easy to eat and very accessible [for when you’re snacking on the side of a mountain] and will give you a boost of high energy, fast. Oh yeah, and of course, bring plenty of water! I wouldn’t bring anything difficult to eat or transport like bananas, avocados, peaches or anything mushy, that spills or can open easily. You’ll have a lot of gear in your pack and no matter how you pack these products, they will get smushed. So many people in my group had banana mash all over their belongings when we returned. Not to mention, the guides then had to clean out all the bags! Check all of your equipment again, right before leaving. Yes, someone at the company should do this for you, but it can’t hurt to check with your own two eyes. Our packs had a gas mask for the sulfur fumes, two pairs of gloves, an ice axe, helmet, crampons and a sled for going down the mountain. Make sure it’s all there and in good working condition. This was a very little thing, but one of my gloves had holes in the fingers and that hand was significantly colder than the other the entire time. It really started to sting at points and was hard to grip the ice axe. This could’ve been completely avoidable if I had checked beforehand and asked to swap for a different pair. Definitely take the ski lift, but if it’s not working, be prepared to walk. See those silly people below CHOOSING to walk and not to take the perfectly functioning chairlift? Yeah, don’t do that. If the ski lift is working, I highly suggest that you take it. It will cut more than an hour off of your hiking time and help you save energy for when you’ll need it most- trekking through the snow. Still, the reality of the matter is, sometimes the ski lift is out of service. Sometimes it’s not working correctly and sometimes the operators just don’t feel like coming that day (typical Chile…). Whatever the reason, don’t bank on the ski lift and be prepared to walk that extra hour if need be. But if the chairlift is working, don’t be silly. Take it. Sunglasses. The UV reflection on the snow is INTENSE and very damaging to your eyes. It is recommended that you wear sunglasses for the entirety of the hike. Chapstick!!! For the love of god, please bring chapstick or some kind of ointment for your lips. Mine got MAJOR windburn, started peeling and hurt for the remainder of my trip. Bandana / neck scarf. My little bandana neck scarf came in super handy to pull over my face in times of high wind and blowing ice. I also used it to cover my ears when they got too cold and to put it inside of my gas mask when we went to see the lava up close. Extra $10.000CLP for the chairlift. It’s really not so bad!!! I was scared sh*tless before taking on this hike, but I found comfort in the fact that thousands of people hike this Volcano every year. If they can do it, you can do it too! 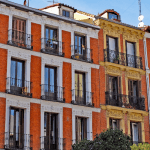 While it might seem like a scary experience at first, the reputable tour companies are highly trained and they really do know what they’re doing. Like I mentioned before, I felt very safe with Summit Chile and they kept a close eye on us all, splitting the group when necessary and catering to everyone’s unique needs really well. If you’re afraid of heights [like I am!] just remember to take it one step at a time. Put one foot in front of the other and don’t look too far up or down while you’re on the steeper slopes. Just keep moving ahead slowly, follow directions carefully and you’ll be in for one hell of a hike! 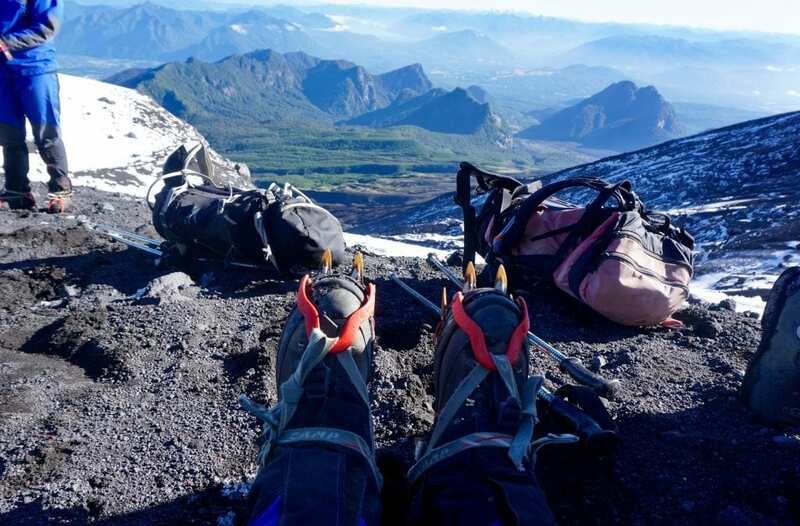 Would you attempt to climb Villarrica Volcano? I’d love to hear from you in the comments below! Liked this post? Don’t forget to PIN IT and save it for later! Meet your hosts: Lauren of Lauren on Location, Van of Snow in Tromso, Isabel of The Sunny Side of This and Marcella of What a Wonderful World. This week I’m highlighting Yayoi Kusama: Infinity Mirrors by Setarra. This exhibit looks seriously unique and awesome and I really hope I can catch it somewhere in the world one day! If you haven’t already, be sure to go check out post and spread the love! 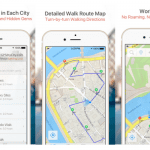 Thanks for linking up with us Setarra! ? This looks like an incredible once in a lifetime experience! I get really nervous about activities that are determined by weather (including people’s outdoor weddings hahaa) but like you said, better safe than sorry!! Hahah yes I totally feel that, I get nervous about weather too! 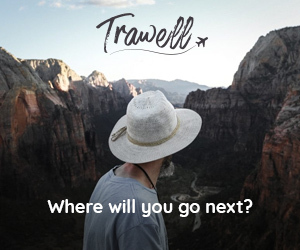 Especially when traveling, because you never want to be hindered by crappy weather. This looks like an incredible experience Lauren!! How long did it take you to hike it all the way? It looks SO steep! 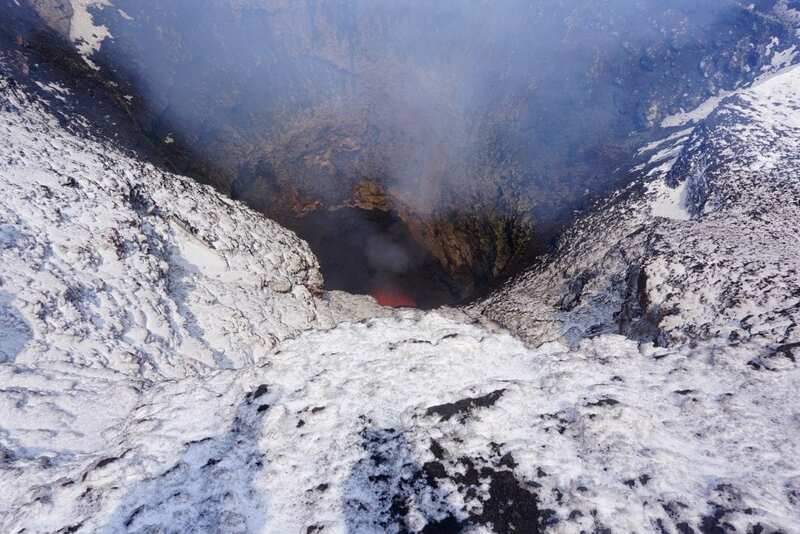 But wow, that picture looking down into the crater at the lava is amazing! It was seriously steep at parts! That was the only thing that got me. I’m not a big fan of heights…. but our group was pretty fast! I think it took about 8 hours round trip with lunch and breaks. Usually I think it takes around 9. It was SO cool to see lava though, such an incredible feeling. Oh my goodness, talk about the trip of a lifetime! The views look incredible, and I can’t even imagine what it would be like to hike an active volcano that has erupted recently! 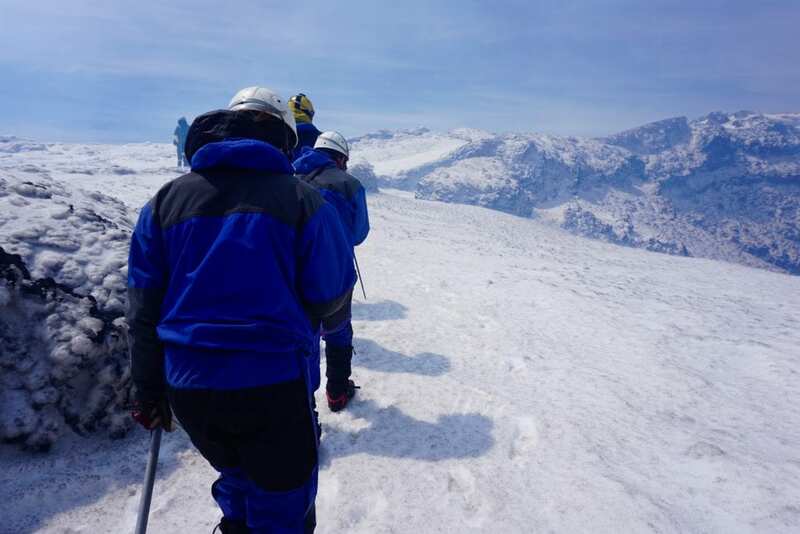 Going with the tour group definitely sounds like the best option, and Summit Chile really took care of you! 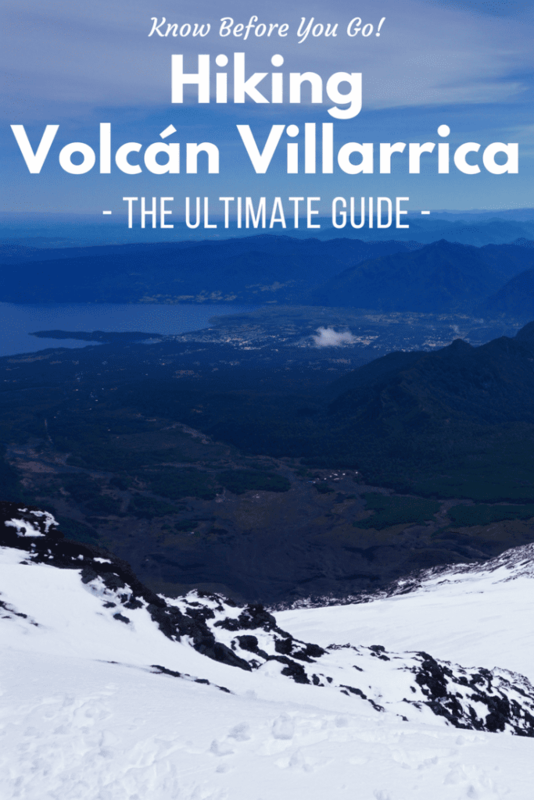 You actually can’t hike the volcano anymore without a guide! I think too many people thought they knew what they were doing and probably got hurt. I think it’s best to go with a guide anyway as they know the mountain and are there in case of emergencies! A great guide! I personally found the climb terrifying, not sure if I’m just a scardey cat but the steepness and snow/Ice didn’t make me feel great! you do such badass things!i love it! i totally want to do something like this! Hahahah thank you! I don’t know if you can really call me a badass, since I was pretty terrified at points, but I sure felt like one afterwards! You would love this hike! What an epic hike! You are a rock star Lauren! Just incredible! I don’t think I’d ever be fit enough for this!! 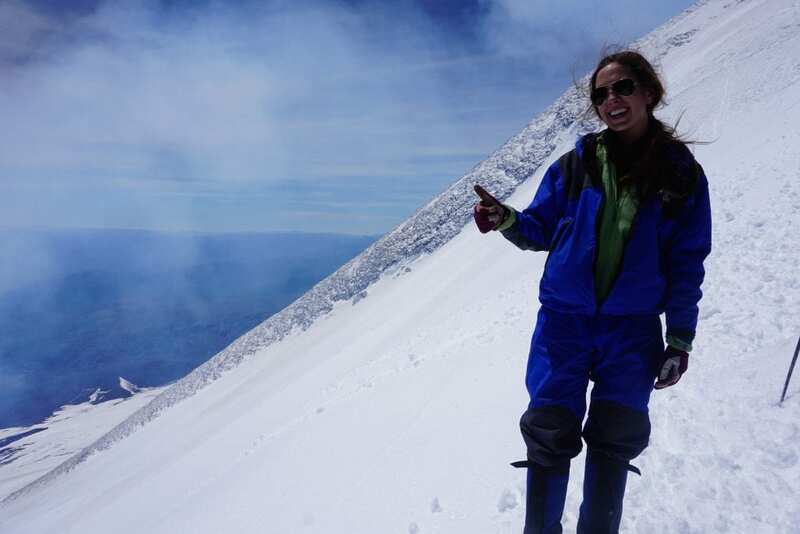 Also, I wasn’t aware that it would actually get so chilly on a volcano, so naive of me!! Wow! I love how adventurous you are Lauren. I would’ve totally punked out with doing a hike like this lol. You GO girl!!! Thanks SO much! I was really close to bowing out, but I just made myself haha .. I knew I’d regret it if I didn’t try! I’m definitely not that brave (and that active), but I know in the end it’s all worth it!! Great views and of course, seeing an active volcano!! Yeah! The fact that it’s such an active volcano was definitely pretty wild! Made it all the more exciting! Ugh, going hiking on a volcano that was recently active sounds like one of those things that I’d be so proud of doing, but would never do because I’m a massive whimp! This looks AWESOME!! I love that you asked around in town first too!! That’s one of the reasons I love traveling in the camper; it usually gives us a day or two to talk to locals before we commit to something. Looks like they led you in the right direction!! I would love to hike it, I enjoy a little bit of dangerous edge to my adventures!! If you like adventures, you would definitely love this hike! I’m really glad I asked around town too, because I felt extremely comfortable with the company I ended up going with! All great points! I wish I’d had a lot of the same advice the first time we tried to summit Mount Rainier in Washington. Fortunately, it went well, but we almost ended up stranded because of a fickle ice bridge that comes and goes. Again, love love LOVE all your Chile hikes so far, and dying to try something like that! Thanks so much! My friend recently summited Mount Rainier and absolutely loved it! Sounds like quite the adventure!! 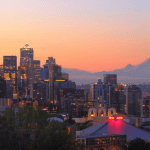 Love the colours in your photos – those blues are amazing! Thanks Jamie! I’m glad too! And it was pretty wild!! Your sense of adventure amazes me… and I always love how it seems like you’re on top of the world. There’s just something about your pictures, girlie. You introduce me to so many places that I don’t know that I’ll ever experience but I love seeing! Wow! This looks so cool! I’m going to add this to my bucket list. I thought hiking in snowy trail in Banff was hard but this looks like another level. Way to go! …but seriously, it does look like a wonderful adventure. Just hiked it yesterday … snow was all the way down to the base, no functioning ski lift. Tons of ice, we had to use the crampons for the last 3 hours. Our guide said it was one of the more difficult ascents that he has ever done. Plus we were the only group on the mountain! I think ascending in summer when the snow is mostly melted makes the hike significantly easier.